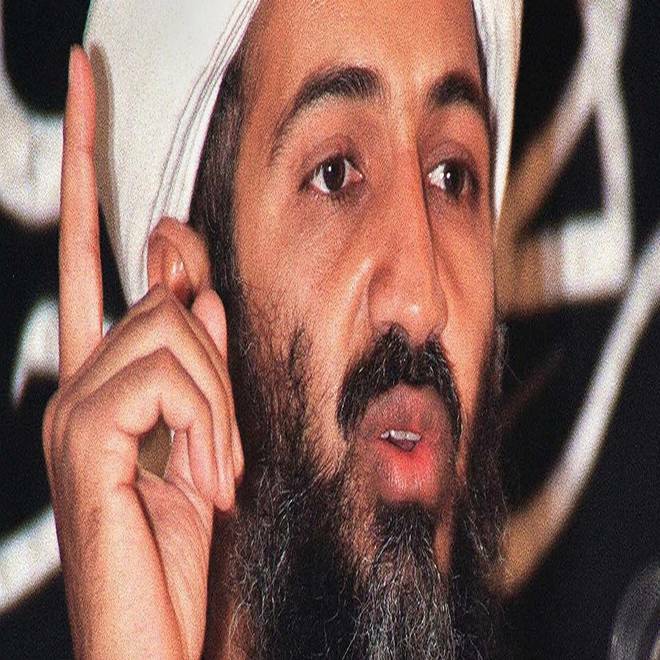 Undated file photo shows the late al-Qaeda leader Osama bin Laden at an undisclosed location in Afghanistan. The top U.S. special operations commander, Adm. William McRaven, ordered military files about the Navy SEAL raid on Osama bin Laden's hideout to be purged from Defense Department computers and sent to the CIA, where they could be more easily shielded from ever being made public. The secret move, described briefly in a draft report by the Pentagon's inspector general, set off no alarms within the Obama administration even though it appears to have sidestepped federal rules and perhaps also the U.S. Freedom of Information Act. But secretly moving the records allowed the Pentagon to tell The Associated Press that it couldn't find any documents inside the Defense Department that AP had requested more than two years ago, and would represent a new strategy for the U.S. government to shield even its most sensitive activities from public scrutiny. McRaven's directive sent the only copies of the military's records about its daring raid to the CIA, which has special authority to prevent the release of "operational files" in ways that can't effectively be challenged in federal court. The Defense Department can prevent the release of its own military files, citing risks to national security, but that can be contested in court and a judge can compel it to turn over non-sensitive portions of records. Transferring government records from one executive agency to another must be approved in writing by the National Archives and Records Administration, under the Code of Federal Regulations. There are limited circumstances when prior approval is not required, such as when the records are moved between two components of the same executive department. The CIA and Special Operations Command are not part of the same department. Other rules from the chairman of the Joint Chiefs of Staff dictate that records about military operations and planning are to be considered permanent and after 25 years, following a declassification review, transferred to the National Archives. Also, the Federal Records Act would not permit agencies "to purge records just on a whim," said Dan Metcalfe, who oversaw the U.S. government's compliance with the Freedom of Information Act as former director of the Justice Department's Office of Information and Privacy. "I don't think there's an exception allowing an agency to say, 'Well, we didn't destroy it. We just deleted it here after transmitting it over there.' High-level officials ought to know better." It was not immediately clear exactly which Defense Department records were purged and transferred, when it happened or under what authority, if any, they were sent to the CIA. No government agencies the AP contacted would discuss details of the transfer. The AP asked for files about the mission in more than 20 separate requests, mostly submitted in May 2011 — several were sent a day after President Barack Obama announced that the world's most wanted terrorist had been killed in a firefight. Obama has pledged to make his administration the most transparent in U.S. history. McRaven described steps he took to protect the identities of the SEALs after the raid, directing that their names and photographs not be released. Current and former Defense Department officials knowledgeable about McRaven's directive and the inspector general's report told AP the description of the order in the draft report is accurate. The reference to "another government agency" was code for the CIA, they said. These individuals spoke on the condition of anonymity because they were not authorized to discuss the matter by name.